Is it possible to increase the option for custom font size? Sorry for the trouble! On which device you are facing this issue. Please have a look at this FAQ which might fix the issue for you. Let us know if you still face the issue and we would be happy to help. I have a Surface Book 2 (4k panel). UI has too much whitespace and objects and fonts are too small. And you can't seriously be asking users/noobs to manually hack environment variables? Which, on many systems might not even work... such as S-Mode or corporate managed devices. Just get your UI up to modern standards please. My primary monitor is sometimes the surface display and sometimes an external monitor. Scaling needs to be different for the different monitors, how should I set this up? My display was all messed up, with the text in the wrong places. 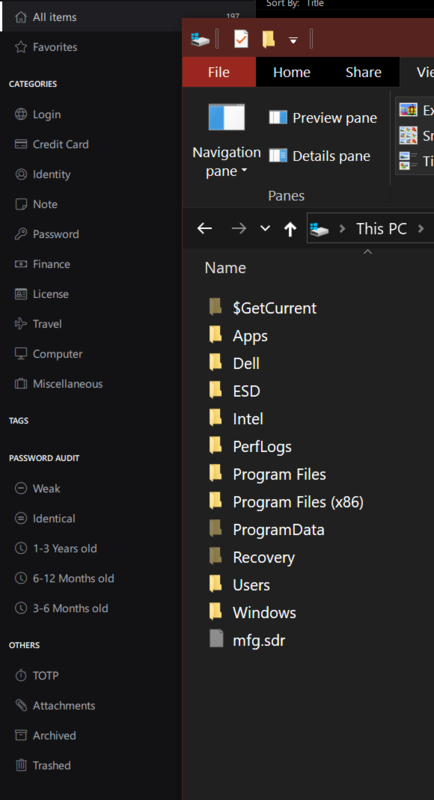 I added the environment variables as listed in the faq (set to 1.75 for my surface pro 4) and now they line up properly but the font is way too small. Also, this is going to break when I get back to work and dock to a HD monitor if it keeps using the settings for the 4k surface display since the environment variables would need to be set differently. See the screenshot for the size of Enpass display compared to the size I have in my browser which is how I want it. Really I should be able to scale it, but you can see by the comparison to the size of the editing toolbar that the Enpass items are tiny). What are you doing to fix this issue? I tested previous version of Enpass Windows App in the same operating system environment, without adding any environment variables. In Enpass 5.5.7, the font is normal and large enough, but In Enpass 6.0.2 has a very small font. It must be caused by some differences between the two versions. I have filed a bug report and you will see improvement in upcoming updates for multi-monitor setups. The font size is excruciatingly small in my 4K screen. 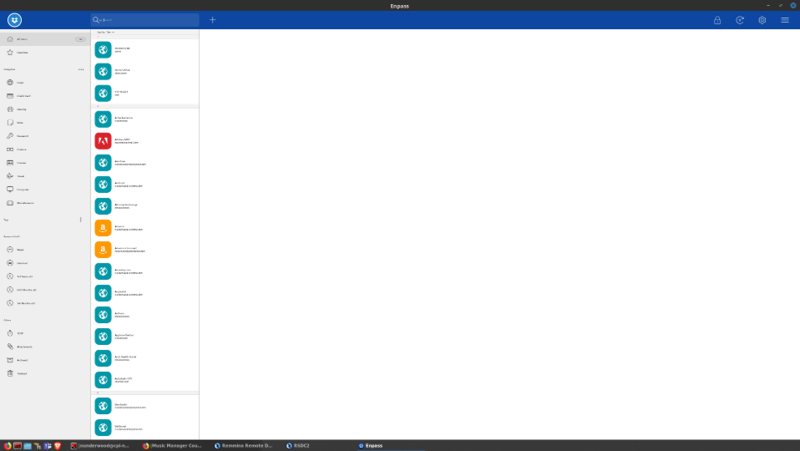 Using Windows 10 and scale & layout size to 175%, it is still too tiny for me. I did configured the QT_SCREEN_SCALE_FACTORS and even set it to 3, but there is not much difference. I really need an option to change the font size. Attaching the screen capture with the capture of Explorer to compare the font size of the two. Having this issue as well. Just wanted to chime in. Here's a screenshot of my external display. This, coupled with the inability of the browser plugin pop-up to remain open while dragging my mouse across other windows when I have "window focus follows mouse" enabled on my Linux desktop is making 6.0.2 not a fun experience. I plan to open a separate thread about that though. New Version(6.6.314.0) has fixed the font size problem under the high resolution screen.